Stunning and unique, just like your relationship. Your partner’s fingerprint so clear and crisp on your wedding ring you’ll feel you are together whenever you look at your hand. Create your ring with one or two fingerprints. 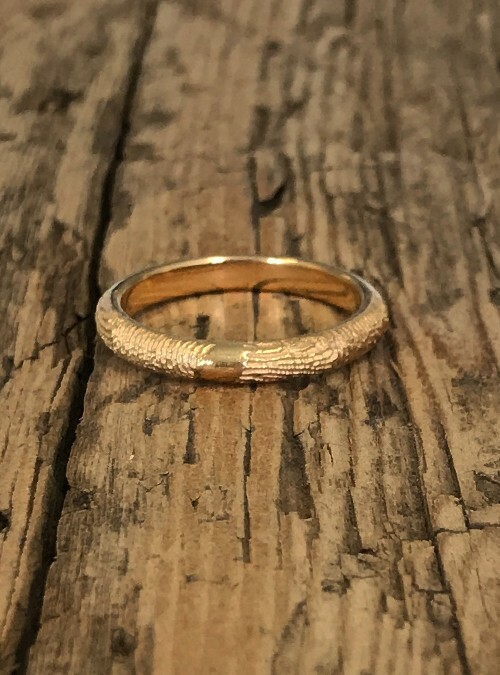 This gorgeous 3mm wedding ring will be made to order for you. Each ring is lovingly handcrafted in North America.